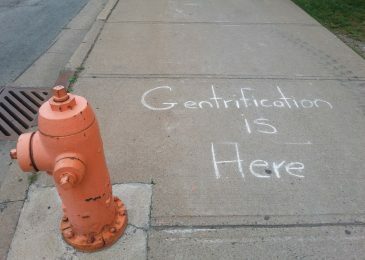 Gentrification in Halifax is pushing original residents out and changing the neighborhood, and not for the better. 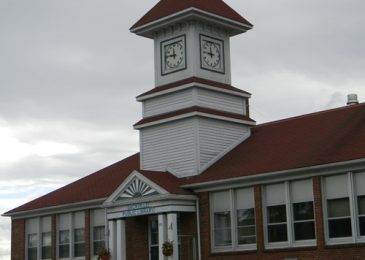 That’s why residents attended a community meeting last week that was all about pushing back. 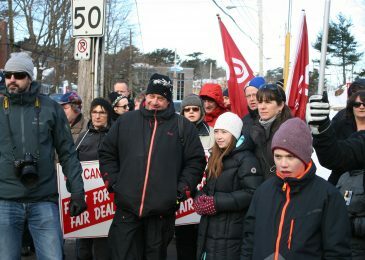 Sydney has always been a union town, says Chronicle Herald reporter Tom Ayers, who together with his colleagues receives huge amounts of support from local residents while on the picket line. Still, never mind the love, the coffees and the cookies, Ayers and his colleagues would much rather be doing their job, writing stories, taking pictures, and talking to people in the community about things that matter. 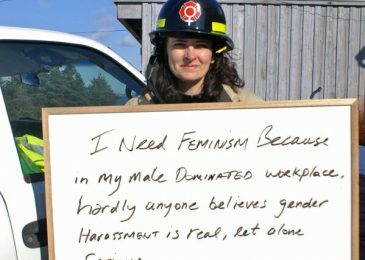 Lately we hear a lot about the godawful misogyny at the fire department in Spaniard’s Bay, N.L. In essence what happened to her wasn’t that different, says former Halifax firefighter Liane Tessier. More than 10 years later she is still fighting for justice. 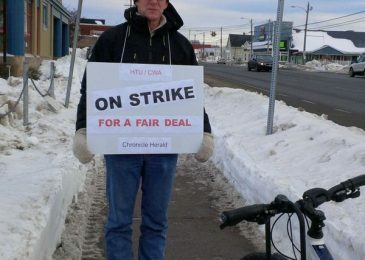 Readers, newsroom workers, politicians and union activists rallied at the Chronicle Herald HQ. They want Herald management to stop its union busting ways. 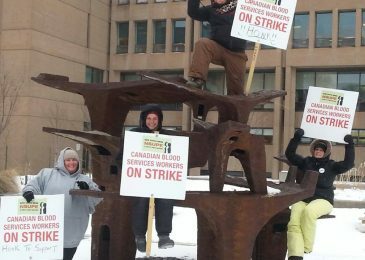 Eight blood collection workers in Charlottetown, PEI, have been on the picket line for close to five months now. The women are fighting for fairness for Canadian Blood Services workers across Canada. 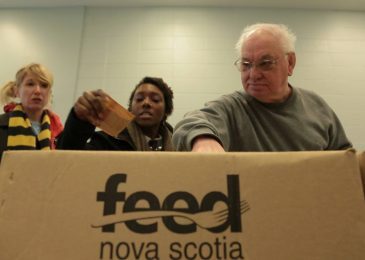 A documentary on social assistance in Nova Scotia continues to change lives. 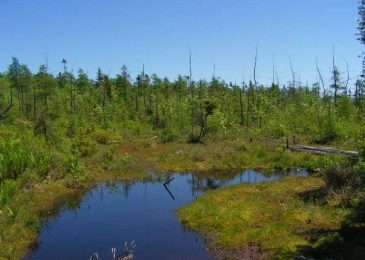 Developing pristine wetlands in urban Dartmouth is not a good idea say local residents. And they’re fighting back! More cuts to the Halifax Library budget while visits and circulation are set to increase doesn’t make sense. It’s time for users and library workers to speak out. 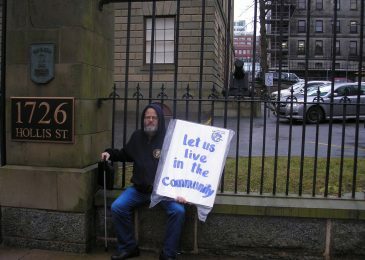 Abuse of an institutionalized resident at the Breton Ability Centre in Sydney raises the question how safe these large institutions really are.